The lack of diversity in Hollywood has always been an issue, although the #OscarsSoWhite campaign has finally brought attention to it. While this holds true regarding casting, and therefore awards season, the biggest problem is what narratives are being silenced. Regardless of what minority group is being discussed, the industry rarely explores perspectives that aren't white, male, and heterosexual. Not only does this not allow for a more diverse sense of of storytelling, but it stops some very important narratives from being told. Writer/director Barry Jenkins just might be that voice to shake things up in the awards circuit this year. Moonlight chronicles three distinct times in the life of Chiron that span from childhood to adulthood. When he meets drug-dealing Juan (Mahershala Ali) and his girlfriend Teresa (Janelle Monáe), he begins to learn about himself. However, a drug-addicted mother (Naomie Harris) and personal struggles with sexuality and trust begin to shape him in various ways. Countless coming-of-age films circulate the festival circuit each year, which places the narrative and the quality of the execution at the forefront. So, how does Moonlight stand out? Other than the obvious shift in its perspective focus, the screenplay is never artificial. Most coming-of-age films touch upon the same plot beats, often trying to pull emotion out of our nostalgia, which comes across as a bit too easy. Jenkins develops a character that feels like a real person that we can relate to. When Chiron is introduced as a young child, he's practically a mute. It isn't until he meets Juan and Teresa that things begin to change. Maternal influence is a common theme throughout the film, as Chiron deals with a drug-addicted biological mother and a supportive practically-adopted mother. Regardless of what age he is, these two environments are portrayed in polarizing ways that allow Chiron's character to evolve in a fluid way. The third act switches gears in a clear, albeit meaningful way. Chiron is now an adult and receives a phone call from a voice that he hasn't heard in years, which immediately seems to change everything. Forgiveness is a major theme in his adulthood, as he must face those who tormented him in his childhood and teenage years. Is he willing to forgive those who caused him such pain? 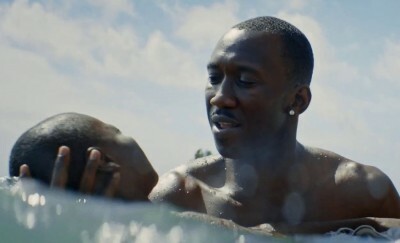 Moonlight delivers upon its incredibly well-composed themes that all flow from one time jump to the next. When the credits begin to roll, it becomes apparent that we just experienced one of the most personal journeys of the year. While the film didn't quite manage to get any tears out of me, it certainly impacted me in ways that I never expected going in. Powerful performances allow the screenplay to flourish in a way that is truly special. Chiron is portrayed by three actors over the course of the time jumps. Alex Hibbert performs as a young Chiron, who is extremely quiet during his screen time. He remains engaging through his use of body language, which tell us a great deal about the role, without a single word being spoken. Ashton Sanders is a teenaged Chiron, who brings every ounce of awkward and curious adolescence to the screen in a convincing fashion. Trevante Rhodes performs as the adult Chiron, who allows the most subtle aspects of the character to breathe without much exposition. All three of these performances mesh quite well in bringing Chiron to life. However, Mahershala Ali and Naomie Harris also bring a lot to the table in the supporting roles of Juan and Paula. Ali's heart-to-heart moments with Hibbert are memorable, as they simply feel so natural. Meanwhile, Harris displays a great amount of range in every scene, allowing Chiron's story to feel that much more real. If nothing else, Moonlight has officially put writer/director Barry Jenkins on the list of filmmakers to watch. He knows how to tell a story in a way that is both genuine and consistently engaging. This is a unique coming-of-age film that conveys a different perspective and an array of clever themes in a subtle way. While the festival hype can sometimes be exaggerated, it's right on the mark for this one. Powerful performances and a well-rounded screenplay allow this film to shine in all of the right places. Only time will tell if the Academy will give it attention. 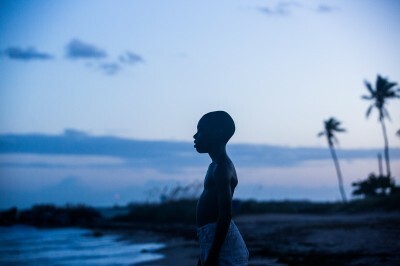 Moonlight is powerful, raw art with a heart that beats with purpose. Highly recommended!